Ever heard of this amazing Smartwatch which is actually a smartphone by Google. This device looks like a smartwatch but does everything that an android smartphone is capable of doing. Lets take a look at the specs.. 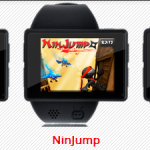 This amazing device has large 2 inch screen which is big enough to compete with other smartwatches. It weighs a little high which is 160 g. Now a days even smartphones are even lighter than this watch. It is powered by Android Froyo as it is a old device but that’s isn’t a deal breaker. It is powered by 256 MB ROM and 8/16 GB of RAM, which is a plus point of this device. It sports a 2 MP camera only for taking photos. It also features a 2.0 version Bluetooth, GPS and Accelerometer. As said before this device works as both smartwatch and smartphone, It is capable of making calls. You can insert sim below the battery and with the help of inbuilt speakers, mic or Bluetooth headset call them as you do in your Android smartphones. Camera isn’t that powerful as today’s smartphones but powerful enough to compete with other smartwatches. Many of the smartwatches doesnot own a camera, but this device has a 2 MP camera which can only used to take photos. A camera in your wrist will make you feel like a detective. You can take photos manually or set it in auto mode which captures image automatically every minute. Yes, you got it correct. It has a GPS which will guide you through voice. This device made driving so smart you would rather love to visit new places. Now a days smartphone navigation system is dangerous while driving a bike, but with this GPS in watch made is so easy and safe in a smarter way. 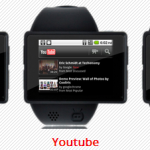 Now not only smartphones can access social networking sites, but watches too joined the list. Get all your breaking news, weather, mails, Facebook without connecting to smartphone or using your smartphone. Using internet was never too stylish. Connect to high speed WiFi and even watch videos from YouTube. Access all your Android apps in your wrist. Ever thought of watching TV in your wrist, but it’s all possible with Androidly Smartwatch phone. Infinite apps are available for this smartwatch phone. Comparing this smartwatch phone to other smartwaches launched at that time, it stands at the top of the list. No doubt it is a awesome powerfully packed device which is priced at $175. Samsung will be 2nd to have its name listed in smartwatch phone which will be released soon. Previous articleTop 5 Windows Phone. Next articleLG G3: A Big Glory For LG.